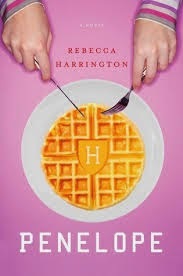 Penelope is a quirky, funny book that is reminiscent of the later seasons of Gilmore Girls. Many readers on Goodreads seem to have found the heroine annoying, but aside from her consistent repetition of the car seat thing, I actually liked her. She was weird in an endearing way, probably trained to be that way through habitual social estrangement, and an excellent pair of eyes through which to laugh at the Ivy League world. From the hilariously corny Teacher's Assistants to the stupidly named rich kids who used one another horribly, to Penelope's anarchist roommate Lan and her stray cat Raymond (my favourites), this book probably could happen in real life, and it probably could happen to you. I loved it.